We take for granted that our country’s landmarks – government buildings, monuments, cathedrals – will endure across the ages, their symbols of freedom and faith always relevant. Built with durable materials the public also takes for granted that these historic pieces of architecture will hold up without care. But architects and restorers know, even marble and granite need maintenance and repair to keep their structural integrity and beauty. Maintaining any design project is a challenge – products are discontinued, styles come and go. But what happens when a historic building needs repair and the marble with which it was built literally doesn’t exist anymore? That was the case when historic St. Patrick’s Cathedral needed repair after 156 years of wear and tear from exposure to New York City pollution. 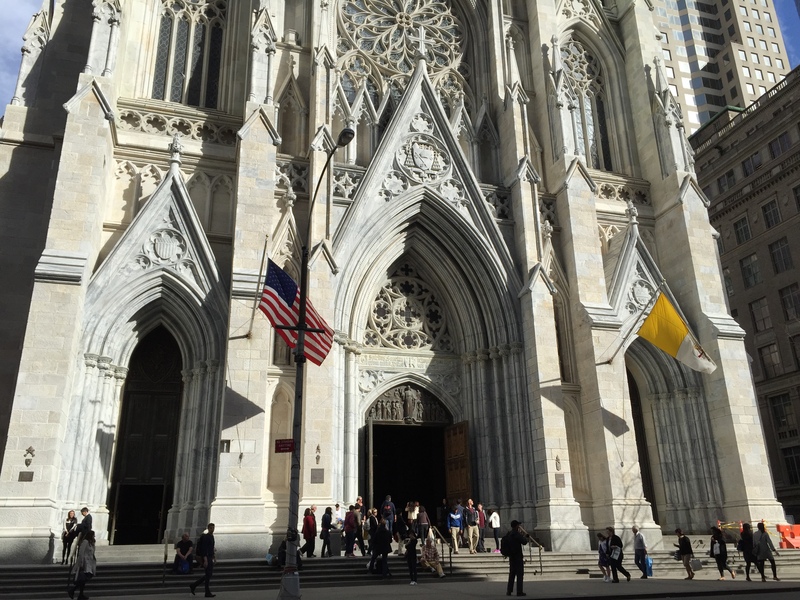 The church was originally constructed with stone from the Tuckahoe marble quarry in upstate New York, which produced fine, white marble used to construct other city landmarks like Brooklyn Borough Hall, Washington Square Arch and Federal Hall. The buildings are still in use today, but that quarry stopped production in 1930. Adding to the architect and construction team’s challenges was the Pope’s scheduled 2015 visit. It was imperative that they find a closely matching stone, quickly. The team found their source in Polycor’s Georgia quarry that has supplied the marble for landmarks like the Lincoln Memorial and the GM Building. The clear white marble has been compared to the more well-known Carrara marble of Italy. Besides the quality of the stone at the Georgia quarry, its domestic location prevented the typical delays of overseas shipping associated with European and Middle Eastern stone. 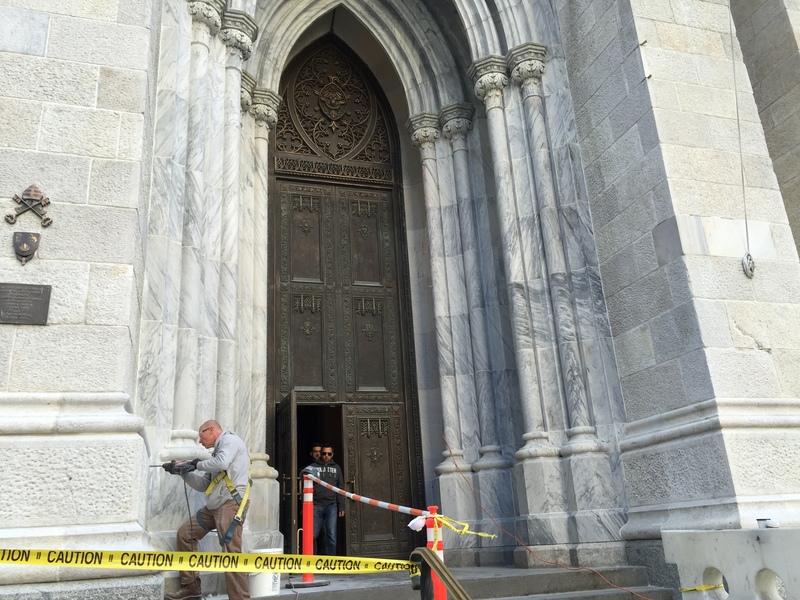 The quarry supplied closely matching white marble with light grey veining known as Pearl Grey for the $175 million project and restoration was completed ahead of schedule and St. Patrick’s was back in historic condition in time for the Pope’s visit. Amazingly the cathedral remained open throughout the entire project. Restorers have the additional challenge of making seamless repairs to iconic structures while the country’s eyes are on them. 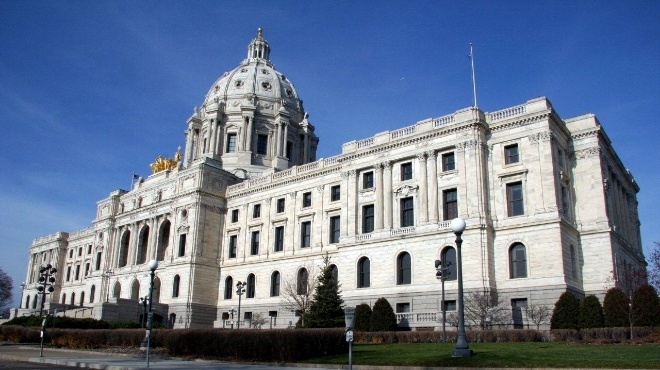 There’s nowhere to hide poorly matched material when your project is on public display every day as is the Minnesota State Capitol Building. Constructed in 1905 the building was clad in a façade of 327,000 cubic feet of white Georgia marble. The original architect, Cass Gilbert, specifically sought out the white marble from this quarry to avoid having the capitol building look dark and gloomy, saying the bright marble gave it a lighter look and feel. In 2013 when it came time for the aging building to undergo restoration, the team launched a massive $309 million three-year project. The architects went straight to the same source for the marble necessary for repairs, knowing they would have access to reliable quality and large quantities of the stone they needed. Management, design and construction firms have been working collaboratively to restore the Capitol, composed of hundreds of individuals. Project team members visited the quarry often to analyze and inspect the quarry operations as well as hand select the marble blocks and determine the orientation of cutting. Nationally recognized historical exterior stone repair experts have been laboring on the exacting process of measuring and fabricating replacement stone for carved, sculptural and structural elements. The integrity of Georgia marble allowed for a diversity of techniques to be employed in these various aspects of the restoration. The same Tate, Georgia marble quarry has a long history of supplying the original stone used for notable projects including the Field Museum in Chicago and the Corcoran Gallery in Washington, D.C. 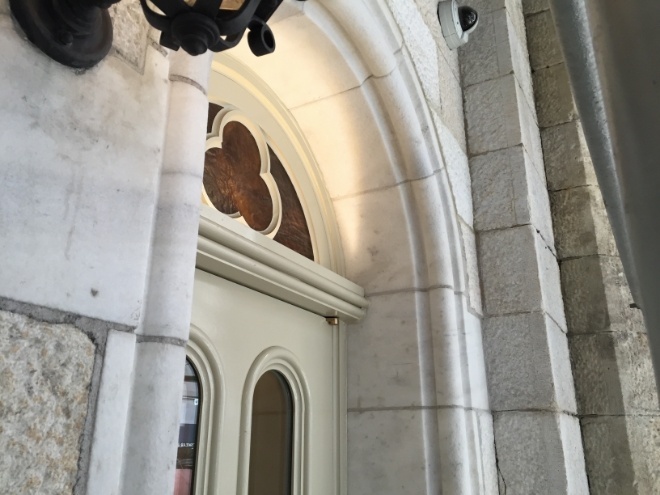 Historic restoration professionals, architects and interior designers continue to use the patrimonial marble in both new projects and historic buildings like the Marble Collegiate Church in New York City. 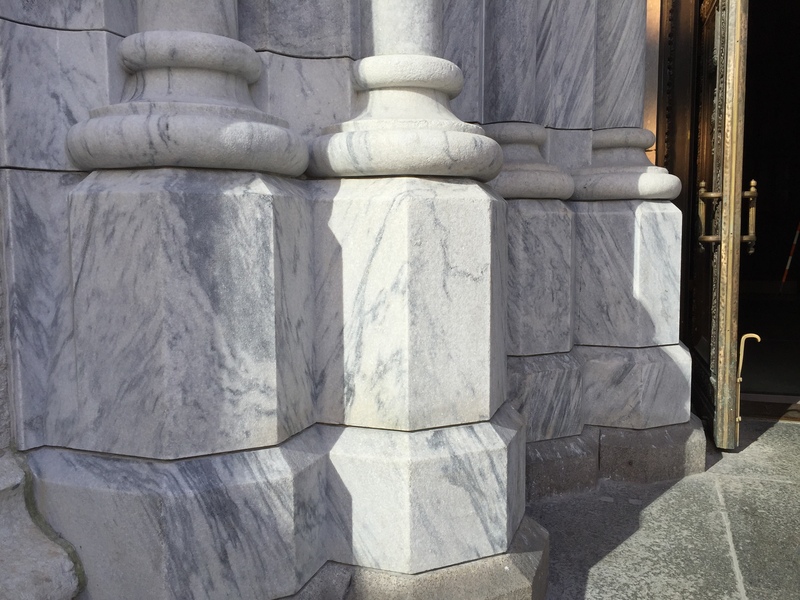 Also originally constructed in Tuckahoe marble, Georgia Marble was used in its restoration to fit the look and feel of the historic marble structure. The massive Utah State Capitol underwent a similar large-scale renovation project in 2004, including repairing the interior walls and columns which were made from Georgia marble. Matching variety and color isn’t the only challenge for restorers working with natural stone. Height differences and structural limitations of existing implements present challenges for seamless repairs. Using material thinner than traditional 3 cm to make up the difference once meant sacrificing strength of the stone. To overcome this, Polycor developed a reinforced proprietary composite backing for 1 cm stone with 10 times the flexural strength and a third of the weight of 3 cm stone. Used in restoration projects where weight is a concern and where height differences exist, the thinner material is used to bridge those gaps and can be used to go over the top of existing damage without the need for extensive removal of old material. The natural thin stone comes in all varieties of Polycor’s granite and marble and is suitable for large expansive wall cladding, walkways, floors, façades, sills and quoins. Learn more about Pearl Grey marble for historic and modern installations. Download our spec sheet for details.